George Thorogood & the Destroyers in Montreal or Quebec City? Inform me about the next events for George Thorogood & the Destroyers. Enroll yourself to our priority waiting list for George Thorogood & the Destroyers to be alerted when new tickets are available. Filling this form doesn't engage you to any purchase. 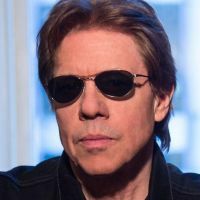 George Thorogood & the Destroyers will be stopping by Montreal on July 1st, 2018, at the Wilfrid-Pelletier Hall of La Place des Arts during the Montreal International Jazz Festival. In over 35 years, George Thorogood & The Destroyers have released 16 studio albums, five of which were certified gold. They sold over 15 million records ! Their blues rock classic "Bad to the Bone" made them famous, but other smash hits such as "House Rent Boogie/One Bourbon, One Scotch, One Beer" confirmed George Thorogood & the Destroyers as bona fide blues rock legends.